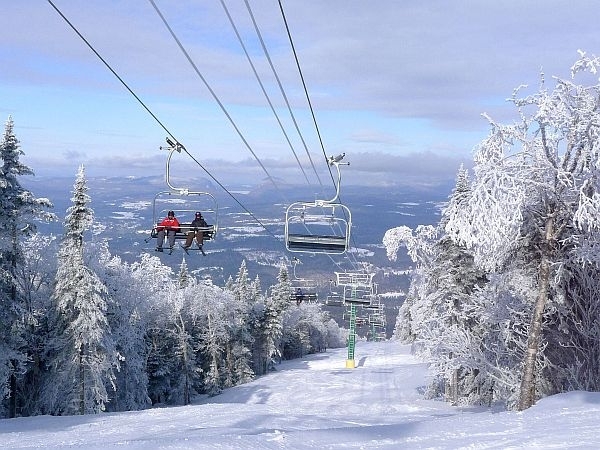 The Northeast Kingdom’s two ski resorts – Jay Peak and Burke Mountain – now have the same owner. The president of Jay Peak Resort and his long-time business partner have purchased Burke Mountain Resort. Bill Stenger says he and his partner Ari Quiros were approached about three months ago by the Florida-based owners of Burke Mountain about whether they were interested in buying the resort. "Over the last several weeks that acquisition opportunity became reality," Stenger said Thursday. Even though he won’t disclose the sale price, all you have to do is listen to the way Stenger talks about this debt-free acquisition to know the man means business and changes are in store for Jay and Burke. "We know the [ski] industry so well, it bodes well for both communities for the long term. We’re excited about it," Stenger said. "To collaborate in a host of different ways, I think it’s going to be great for the brand of the state, for the ski community here." Burke already has a strong ski community. The resort is host to Burke Mountain Academy, one of the state’s high school ski academies for elite racers. But skiing is not all that Stenger and Quiros have in mind for their new resort. Since they bought Jay Peak in 2008, that resort has expanded tremendously, most recently with a $25 million dollar indoor water park and a golf course. Stenger says there are no plans for another water park in the Northeast Kingdom – he says that market is saturated – but there are some immediate cross-promotional relationships that his company will explore between the two resorts. He stresses the need to create what he calls four-season activities that will drive business to the state’s least populated area every month of the year. And after a nearly snow-less winter, he says his company will expand snow making at Burke. Then, next spring, they’ll begin to implement a master plan that could include real estate development. "That sort of thing comes once you’ve developed a market that would be interested in your real estate," Stenger said. "We need to put together a vision and make sure it’s a vision that the community is excited about." The Northeast Kingdom has traditionally had the highest unemployment rate in the state. Steve Patterson, Executive Director of the Northeastern Vermont Development Association, says he’s excited to see the growth of one of the area’s largest and strongest employers. "Bill Stenger has done a remarkable job with the expansion project up there and we’re delighted that that effort will be continued at our second ski resort in the region," Patterson said. Stenger says employee and community meetings will be scheduled soon to review future plans for the resort. As voters filed in and out of the Burke town office Tuesday, Town Clerk Priscilla Aldrich talked about some of the changes in the way votes are cast in her corner of the Northeast Kingdom.